Finding that perfect gift for all of the different people on your list can be a struggle, we all know this. 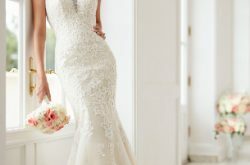 But checking off that list can actually be a lot of fun if you know where to look. Which is why we scour Western New York shops, websites, and social media to find holiday gift inspo your friends and fam will love. There are so many different shops and artisans in the area, the job gets easier and easier every year, and the options really are endless. 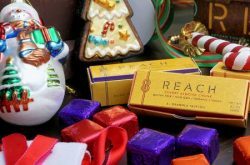 Here are just a few of our favorite gift ideas for 2017 from local shops and artisans to get you started. 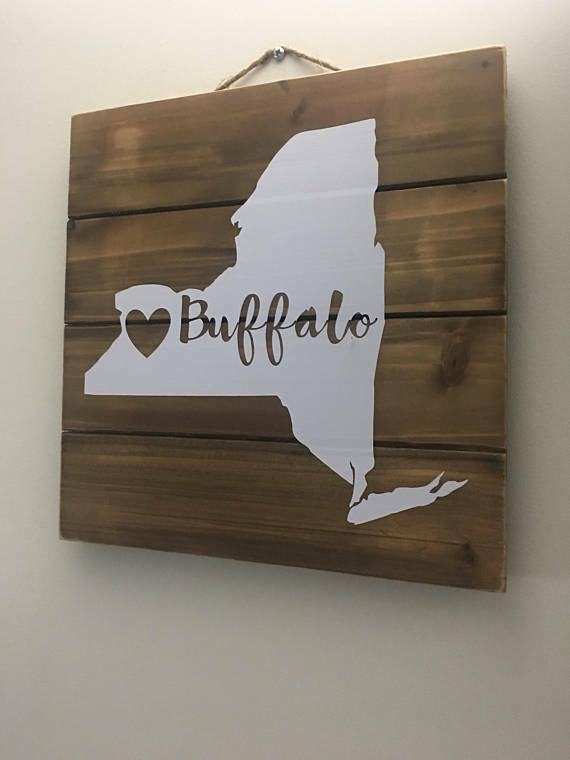 This rustic sign is made locally in Buffalo, NY, along with a mix of other home decor. 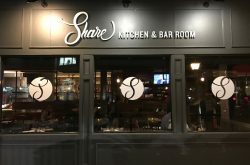 Check out this shop for more hand-crafted items, from pallet signs and tea towels to wine glasses and beer coasters. 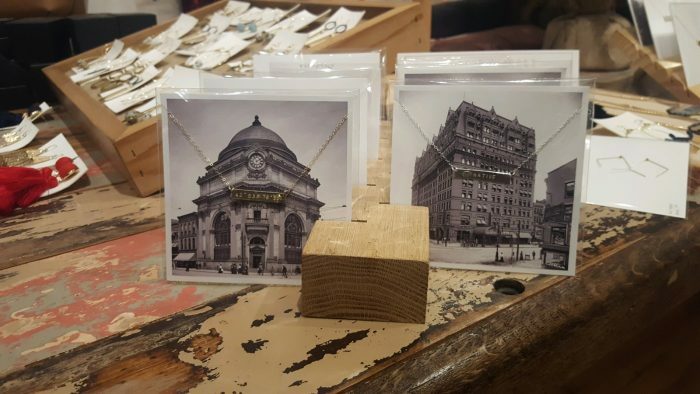 These necklaces are made by local element based jewelry maker Pegs Hardware, sporting the coordinates of our beloved hometown, Buffalo, NY, or simply Buffalo Native. 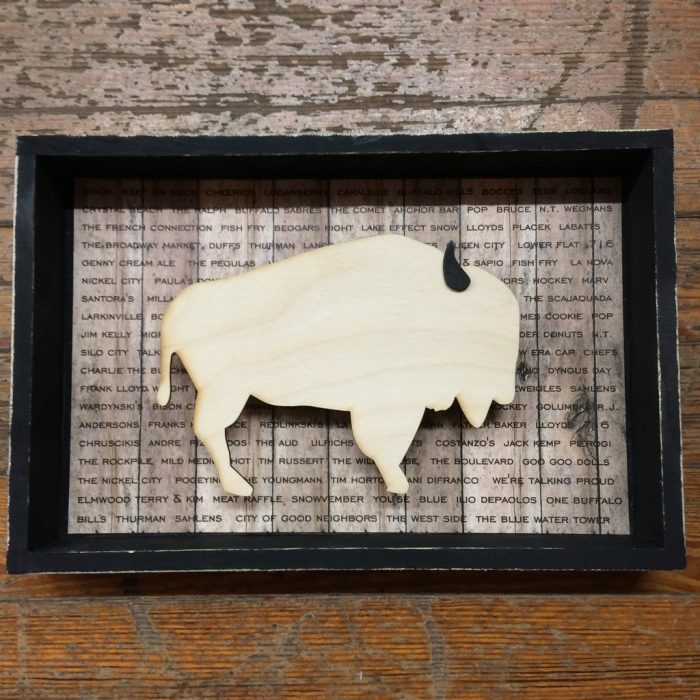 They’re simplistically beautiful and would make a great gift for someone you’ve met in Buffalo or someone that has had to leave the lovely Queen City. It’s endless and exhausting, really. These wooden cubes are the end of it. These aren’t just a funny gift, they can save your sanity. 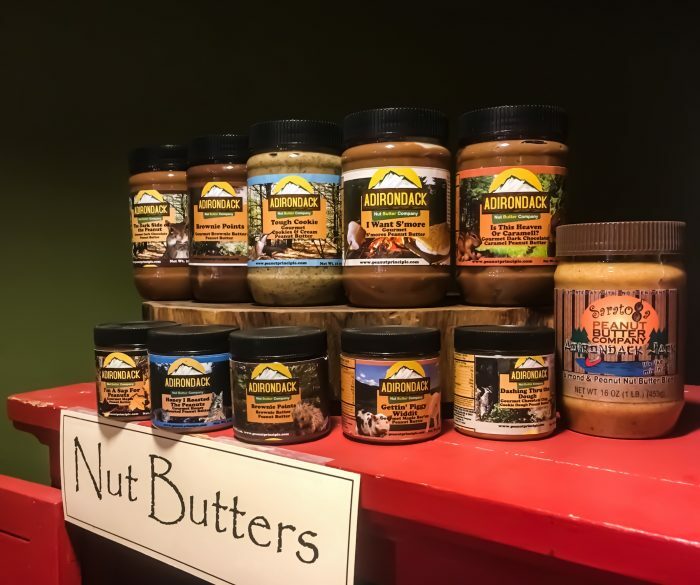 We’re obsessed with the idea of giving a collection of these natural nut butters as a super fun, oddball hostess gift. Why? These aren’t your average jar of peanut butter — there’s “Tough Cookie” peanut butter, “Gettin’ Piggy Widdit”, “Honey I Roasted the Peanuts”, “Dashing through the Dough” , “The Dark Side of the Peanut”… must we continue?! Throw a bunch of these together, add in a spoon, and gift it to your peanut butter lovin’ friend. Thank us later. Socks are in this year — that sounds weird, but it’s true. Whether they’re covered with hilarious quotes and pictures or made with the softest material you’re foot has ever been graced with, socks are great. 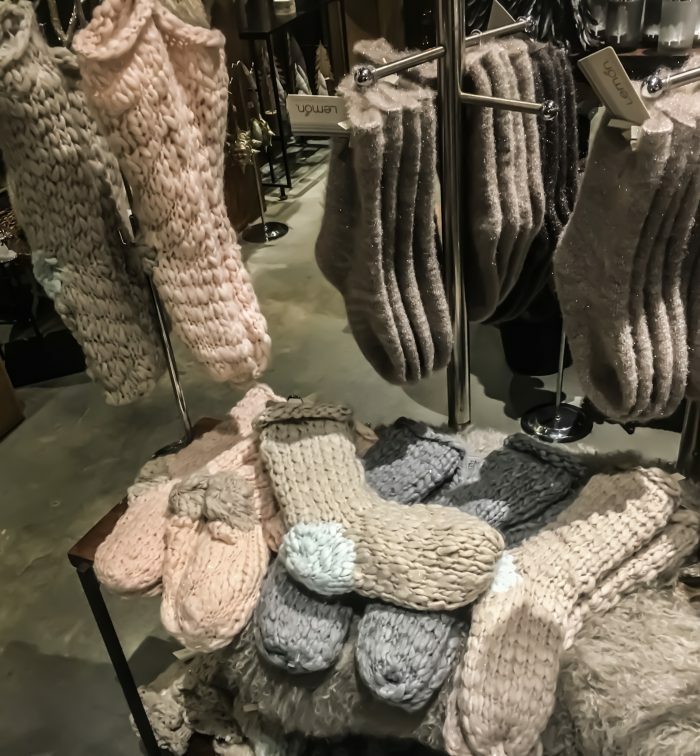 Especially if they’re warm, cozy, knitted slipper socks, like these ones at Neo. And they’ve got grips on the bottom so they’re better than any socks or slippers — they’re wonderful. 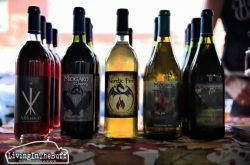 If you attended the 2017 Buffalo Cocktail Classic or Makers Shakers: Boozy Artisan Market, you know just how great the honey wine from Midgard Winery is. This family owned and operated winery is located in Corfu, NY, where they raise honey bees and create fresh-as-it-gets honey wine. 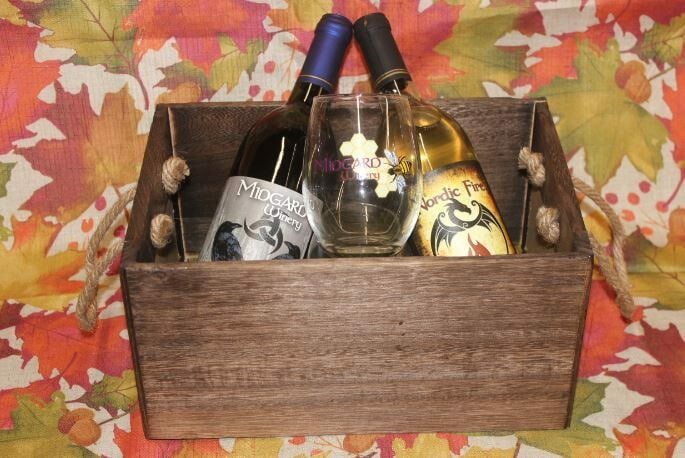 Put together a lovely wine & cheese basket, or pick up a bottle to put with the outdoor wine table above! From the sweet, blueberry wine (made with 100% NYS blueberries), to a sweet wine with a kick (the Nordic Fire), whoever you’re gifting this to is in for a treat. This one takes some work, but we did the hard part for you. 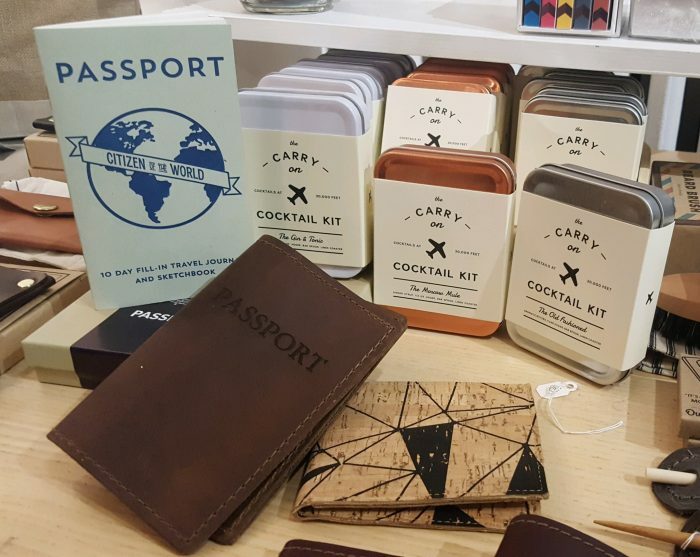 You can pick and choose or make one grand basket, combining a leather passport wallet with the Citizens of the World Sketchbook, and a cocktail kit (or three) and you’ve got a brilliant gift for the person on your list whose constantly traveling. 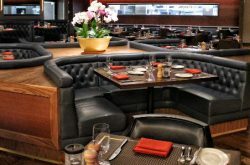 The passport wallet is logical, the Citizens of the World is thought-provoking, and the cocktails just make any flight 500x better. Bonus: you can get all of these with one stop to Fern + Arrow. 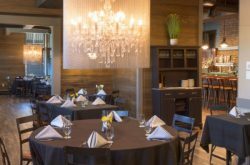 We had a hard time picking just one thing on our trip to Fern + Arrow, so we didn’t. 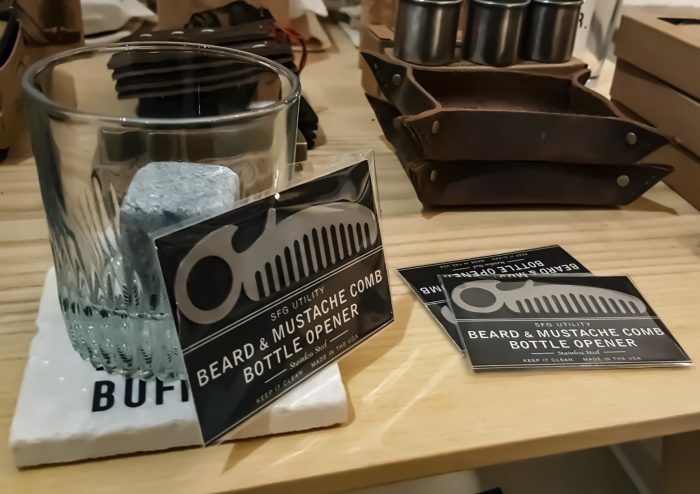 For the guy on your list, we’d combine this oddly useful, stainless steal Beard & Mustache Comb Bottle Opener with a Whiskey & How to Enjoy it Giftset (complete with two hefty 8oz whiskey tumblers, two leather coasters, and a whiskey guidebook), and maybe throw in some whiskey stones for good measure. All of which you can get at Fern + Arrow in the Elmwood Village. Stop by Tommyrotter Distillery to grab a bottle of their locally made American Whiskey to really send this gift set over the top. These are absolutely adorable and we’re seriously buying one for every cute couple, family, and dog we know. 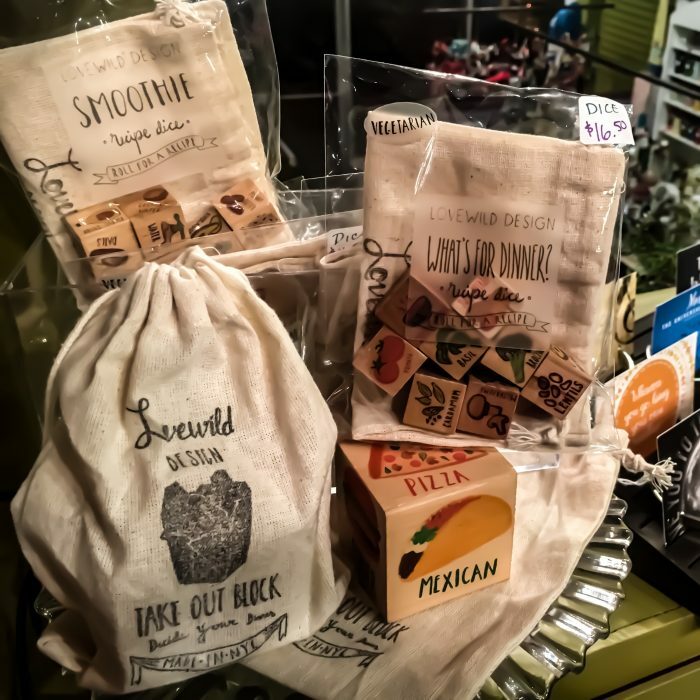 The shop is called “Tiny Buffalo Designs” and everything is custom created, from cards to portraits and ornaments. The artist, Lauren, is incredibly detailed, down to getting the tattoos on someone’s arm perfect. 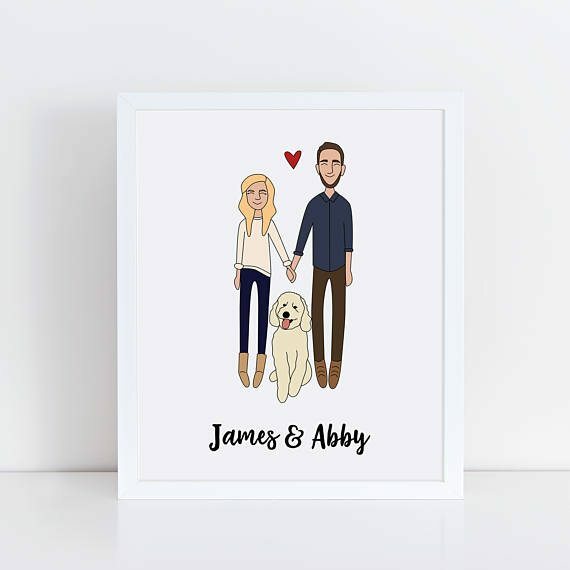 This is a great gift for any recently married couples, a family that has just moved into a new home, or really any cute duo you know, like you and your dog… not that I’m doing that. Everyone knows that life is better in Buffalo, so here’s a little extra reminder. 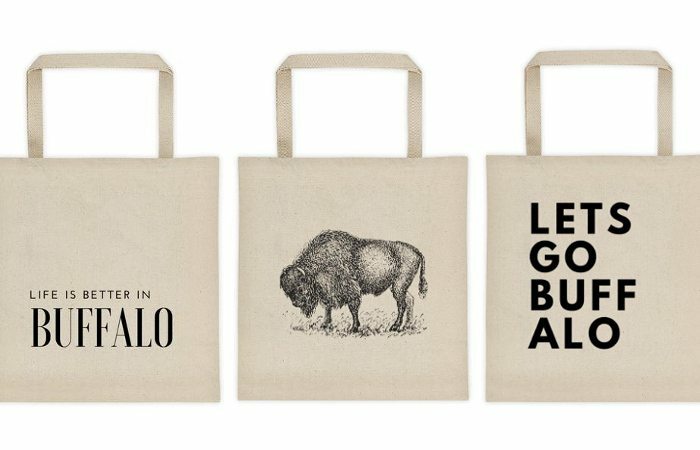 These totes, designed by yours truly (Step Out Buffalo), are perfect for the loud and proud Buffalonians, the eco-friendly shoppers, and really anyone out there that uses a bag ever (i.e., everyone and anyone). Head to our brand new online shop to see our full line of tote bags along with T-shirts and long sleeves. 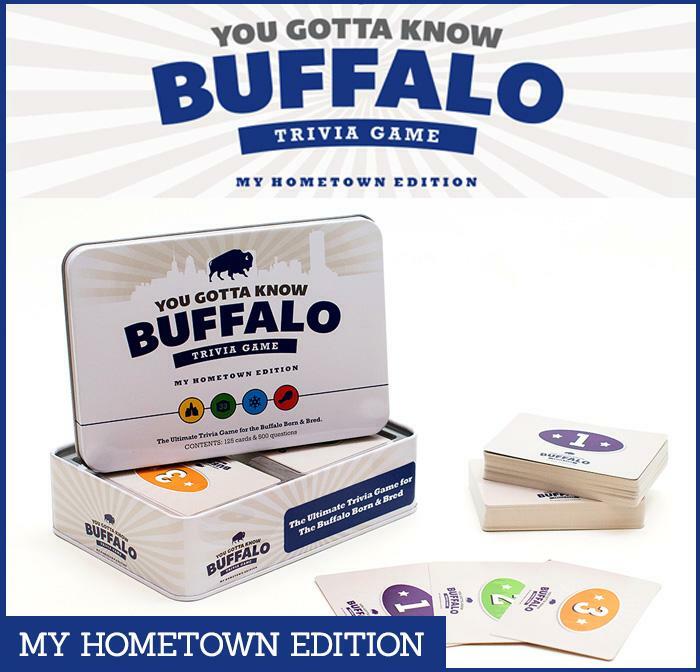 If you have any family or close friends that have left Buffalo, this may be the perfect gift — especially if you’re a bit creative. Toss in some tickets from a show you attended, little pebbles from your favorite park, or other little keepsakes that’ll bring back sweet mems. This could be the most heartfelt gift of the season. 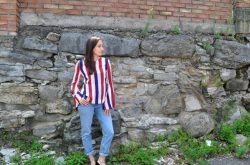 This tee was the star of the show at Step Out’s recent Makers + Shakers: Boozy Artisan Market on Small Business Saturday, so we knew it had to make the list. 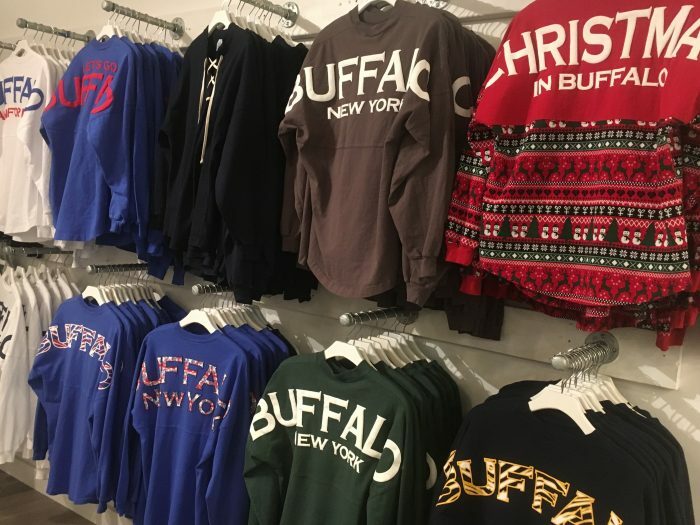 Check out the rest of Rusterior’s Buffalo-themed gear while you’re at it, from baseball caps to cozy sweatshirts. Everyone loves spirit jerseys — they’re comfy, sporty, and trendy all at the same time. 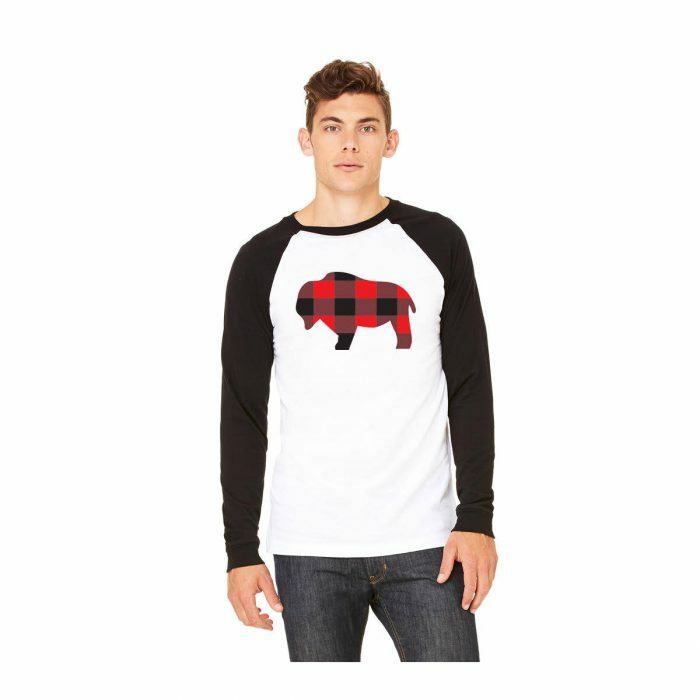 What more could you ask for from a shirt? 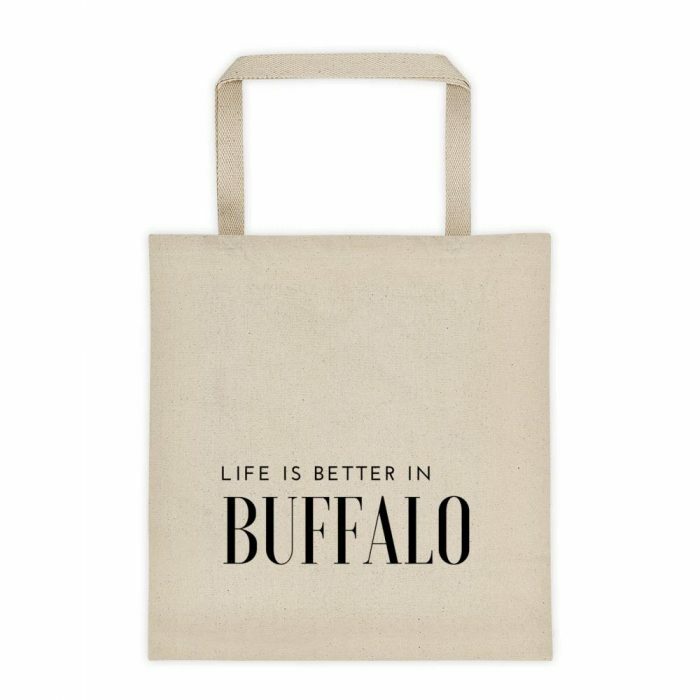 Any Western New Yorker or Buffalo fan is sure to love this gift. Trust us, giving the gift of a Sunday Funday is always a good idea. This is all anyone on your list who is 21+ and loves Bloody Marys needs to get them through the Buffalo winter that’s about to hit us. 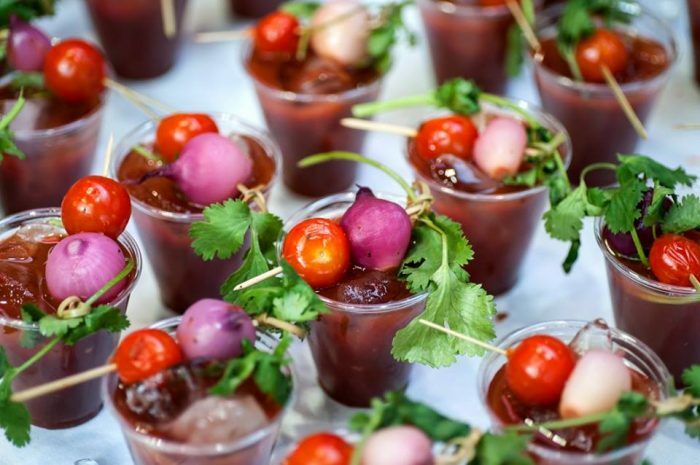 If you want to be a bit crafty with the gift, print out the tickets, roll them up in a fun glass with bloody mary mix and a brunch-themed t-shirt and throw it in a Sunday Funday tote bag. 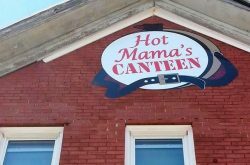 They’ll be spending they’re day tasting and judging the most deliciously concocted Bloodys in Western New York. Plus you can’t buy this gift without buying one for yourself, right? RIGHT.